Allows bulk exporting of the DBX files or folders. Level-headed with auto-detection of DBX files from OE. Preview of emails along with attachments in various formats. Installation and configuration of MS Outlook is not required. Apart from DBX to PST, the software migrate DBX files in more than seven file formats. Click on Scan File and then browse DBX file from local storage and click on Add. Preview DBX file in 8+ preview modes. Select emails and right click on it to export dbx files to Outlook PST. For bulk export use export given in menu bar. Select PST file and choose option as per you need and click on OK to start the process. Being the IT Manger of Trading & Consultancy Company, I have to make sure that routine activities are performing in the safe and secure environment. It is very important for us to keep client information confidential. From last few months, I am encountered by the unknown fear of data stealing by hackers or competitor company through port capturing, phishing. Our company has been using email client which is most prone to this type of attacks because it is not updating its security features. So it can be the open resource to be hacked by others. Our organization has decided to move to another email client with complete 25 GB Data (30000 Emails). Is the data integrity remains same after the conversion? Does software export attachments also to PST? Can I able to migrate outlook express dbx to outlook pst? How much time is required to convert 25 GB of data? Does the software remove duplicates email also? Can I convert my old DBX files from Outlook Express version 4.1? Yes, you can convert any DBX files from Outlook Express starting from Version 4.1 to current version 6.0. How to view the .jpg attachments along with the mail? Yes, you can view any type attachments along with the mails. Do I need to install current version of Outlook on my system? No, you need not have to install any versions of Outlook for conversion. Can a corrupted inaccessible DBX files be converted? No, you should use some other tool to recover these files. Working with outdated email client can be proved risky, because it does update its security policies according to advanced virus & Malicious software. The email client have to update security policies at regular interval of time. 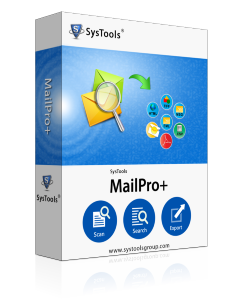 Otherwise opt any other email client such as Microsoft Outlook which have enormous number of advance. To convert all of previous data you will required professional tool enriched with high quality features. One of such tool is DBX to PST Converter.